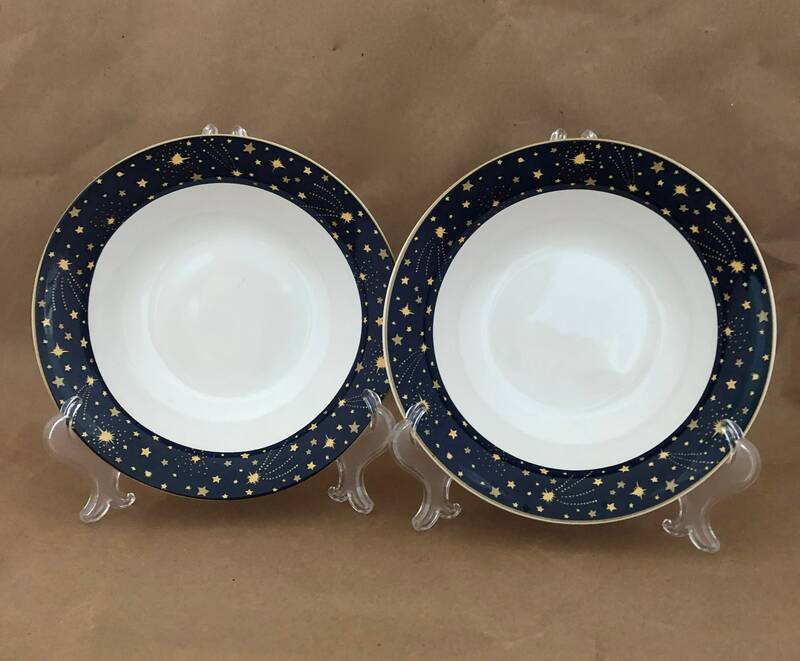 This pair of dishes are average size cereal bowls with very cool celestial patterned wide borders depicting a starry night sky with a dark navy background accented by a dense peppering of golden yellow dots and stars including several shooting stars. The rest of the bowl below the 1" border is a fresh white finished ceramic. 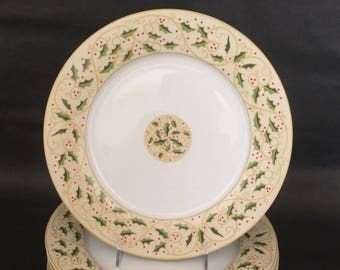 The bottom of the bowls calls their brand VITROMASTER, and states that they are made of "genuine stoneware" and can used in a microwave oven and washed in a dishwasher. Each bowl measures 7 1/2" wide at the top and 1 3/4" deep. This listing includes a total of 4 that I am selling in pairs. The pairs differ in price because one bowl in the second pair has the pictured manufacturing flaw (quarter inch piece of charred black material) baked into its underneath side. The other 3 bowls are in mint condition. Use the toggle across from the photos with this listing to select whether you want to order 1 or 2 pairs of the bowls. Shipping will be combined when you order both pairs. Please note - In case the system charges 2 shipping charges in your invoice I will definitely refund the second amount.